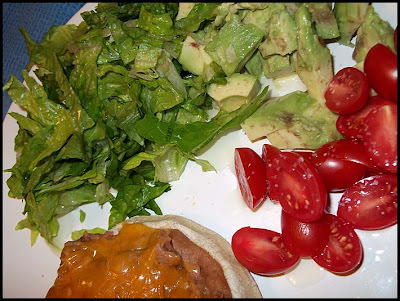 "Sopes with homemade refried beans, a little taste of home in Seattle." 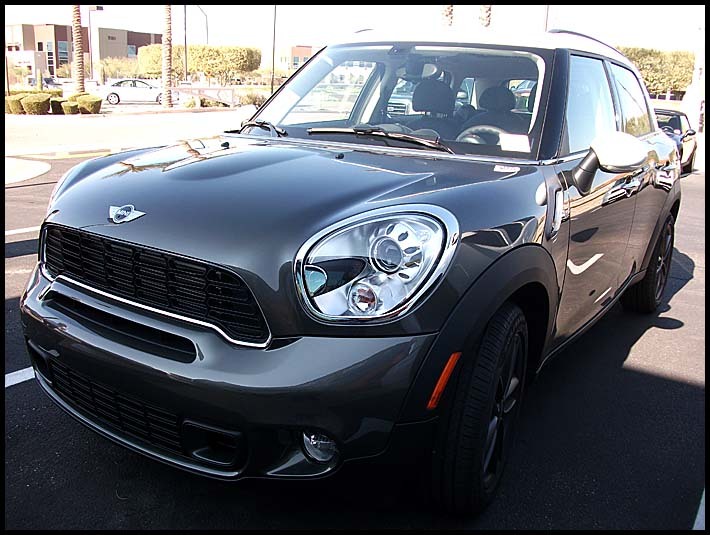 "Went to Phoenix to test drive a Mini Cooper!" "No matter how long or short the journey, it's always good to come home." Let's all have a great week and don't forget to enter the giveaway! What great taste your mother has in cars! I can't wait to learn the outcome of the test drive. Auntie K - if you buy that car your great-nephews will elevate your title of "Favorite Auntie to a whole new level - you will have earned the distinguished honor of "Coolest Auntie"! Snow is SC this a.m. - thinking we came home a tiny bit soon! Always love this feature. How fabulous that your mother is considering a mini cooper!! My kind of woman!! Lovin them this morning. Happy Monday all! Yay mini cooper!! My best friend has one and Abby is obsessed with it! She'll go anywhere if Auntie is driving. How cute are the rain boot girls?!?!? Happy Monday! oh what a fabulous shout-out to the women in your life! seattle is one of my favorite cities in the country. so jealous of your lucky daughter! we went for only a morning, but we saw the pike's place market and i instantly fell in love:) happy monday, sweet friend! aww, this is such a lovely idea! thanks for sharing! Oooo, did your mom buy that car? I love Mini's... can a car be any cuter? Have a great week! That's the latest model, the Countryman S All4 (not a typical 'mini'). I also drove the smaller one with the 'barn doors' at the back. Decided neither is suitable . If we should have 2 passengers in the back seats of either vehicle the back space isn't big enough for Daisy our Lab. We are keeping in mind the 'barn doors' model for when we need to replace our present sedan. In the meantime we are looking at SUVs smaller than our present Dinali. 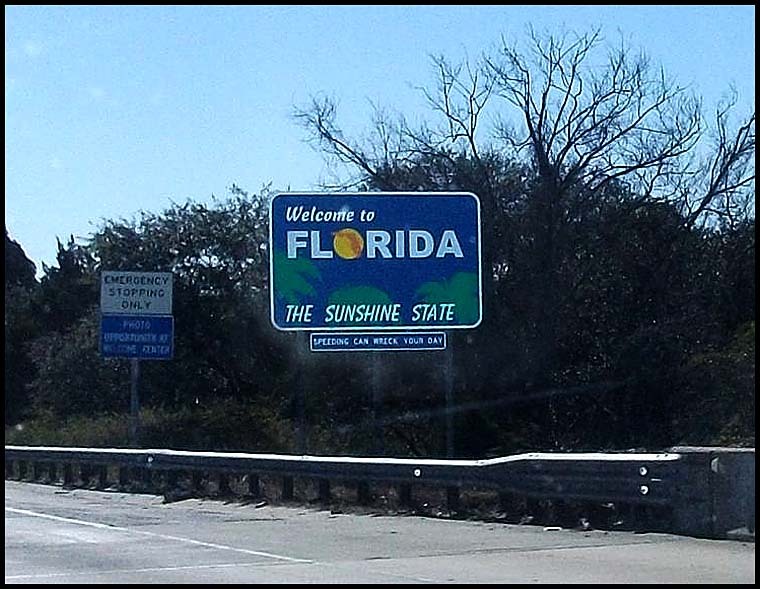 I could do with a bit of that Florida sun here - it is a very grey day. hmm. maybe i will have a sope for lunch! never been in a mini cooper, but they are cute. 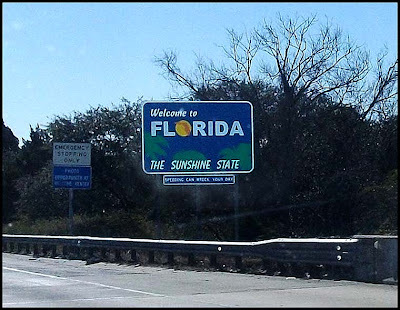 FL is my birth state and have family there now, so i should really go for a visit. Very different shots this Monday. Hope everyone has a nice week. 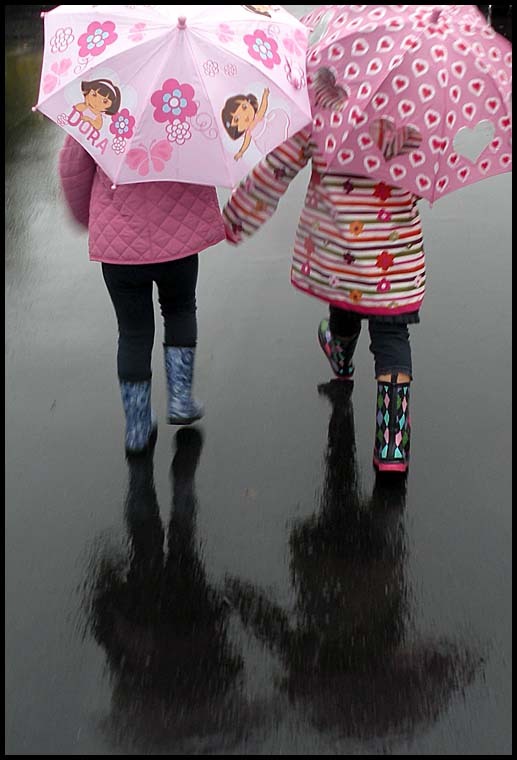 Awwwwwww, love that sweet shot of the little ladies in the rain! So fun that they send you photos every week! Ooh the Mini Cooper! Love seeing those photos...and the rainboots, too cute, reminds me of my sister when she was little. Great photos! I would love your daughters recipe for refried beans- I am embarrassed that I buy the canned ones- I love to sneak them onto food my monkeys eat! The rainy day photo is adorable- Have a great week! I've always wondered what those cars are like to drive! What are sopes Jeanette,unfamiliar term here in Australia. Are they perhaps the Roma tomatoes or the avocado?...and how do you make the refried beans to home-made standard? Thanks for your visit to Textilosophy and contribution to Deja-vu, all very interesting! Hi Pam, I'll send you the info on the Sopes and will have to post my daughter's refried bean recipe for everybody. Yer Ma’s gonna get a mini. Sha zam! Thanks for entering my giveaway...see my awesome Link! what progress.